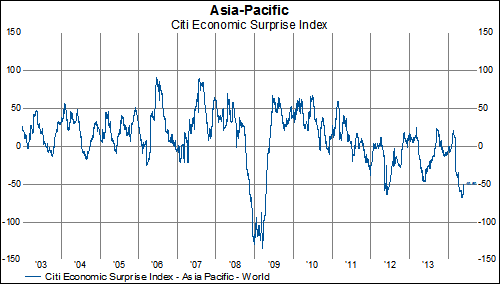 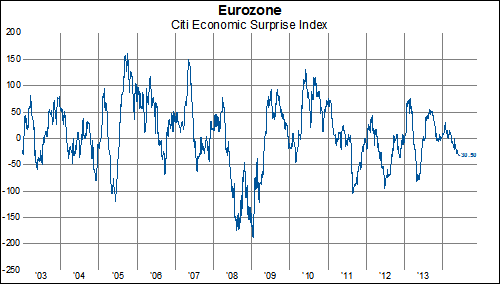 Economic data has generally been improving in the 2nd quarter according to the Citi Economic Surprise Index. 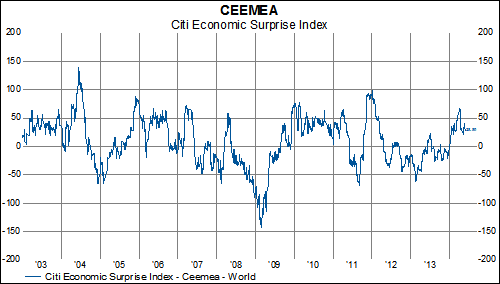 There are, however, some notable exceptions. 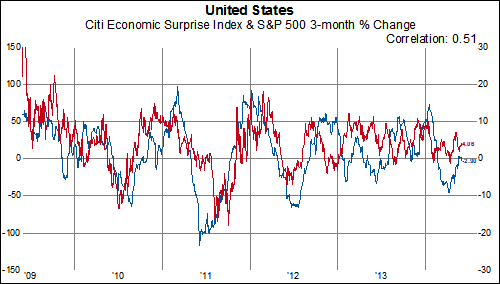 The United States briefly broke above the zero line earlier this week before falling back a few points. 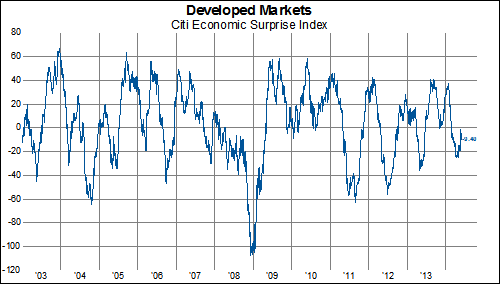 This has helped the Developed Market series to rebound to the highest levels in about three months. 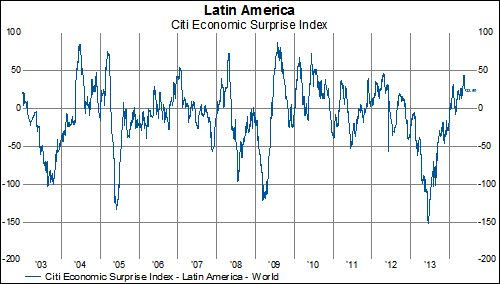 The Emerging Markets are still stuck in negative territory (albeit with small bounce) while Latin America and CEEMEA (Central Europe, Eastern Europe, Middle East & Africa) have enjoyed an improving economic environment in 2014 in contrast to 2013. 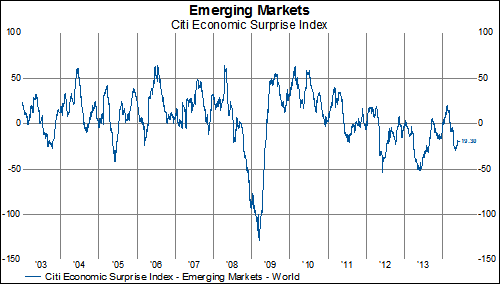 China is certainly holding the Emerging Market index down. 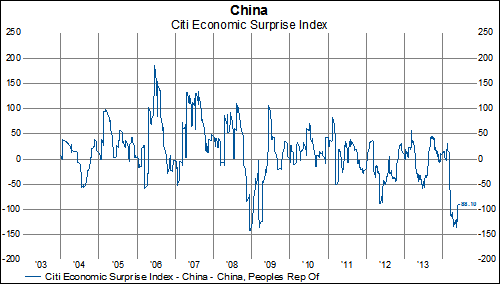 There has been some improvement but overall the Chinese economic statistics are still vastly underwhelming.